Take Flash Bookings, Earn More! What is Flash and what does it mean for you? 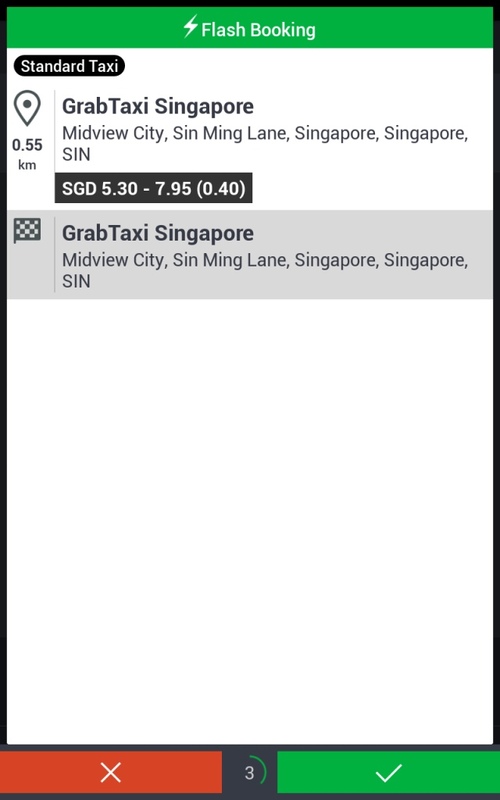 Flash is a Grab feature that gives passengers access to the largest network of Standard Taxis and GrabCar Economy vehicles in Singapore at the tap of ONE button. Flash bookings are broadcasted to taxis first so this means the more Flash bookings made, the more customers you have! How do I accept Flash bookings? Make sure you have the latest version of the Grab driver app (V5.299). 3. Bid for Flash bookings! It’s that simple to grow your customer base and earn more in the process!